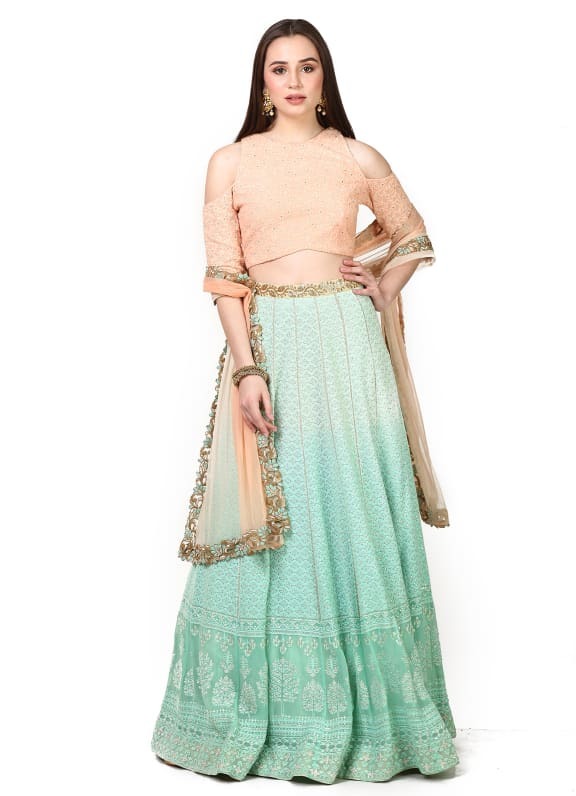 This set features a blue ombre lehenga in georgette base with chikankari work all over. 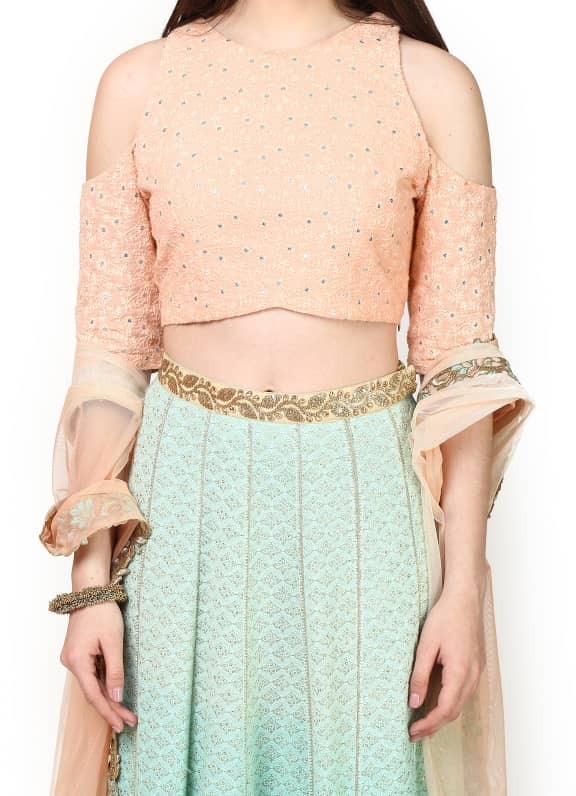 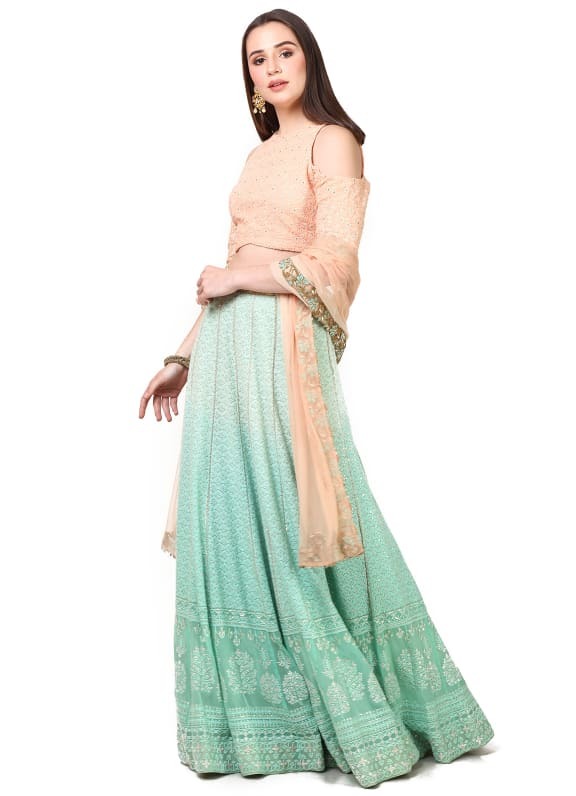 It is paired with a baby pink cotton cold shoulder blouse and a net embroidered dupatta. 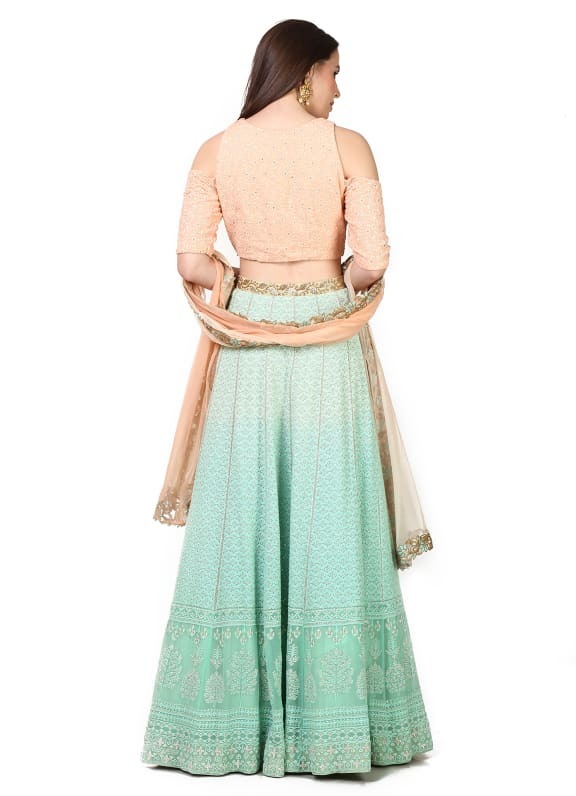 Wear this demure pastel hue for your mehendi ceremony or engagement and style your look with a pair of earrings by Amethyst.